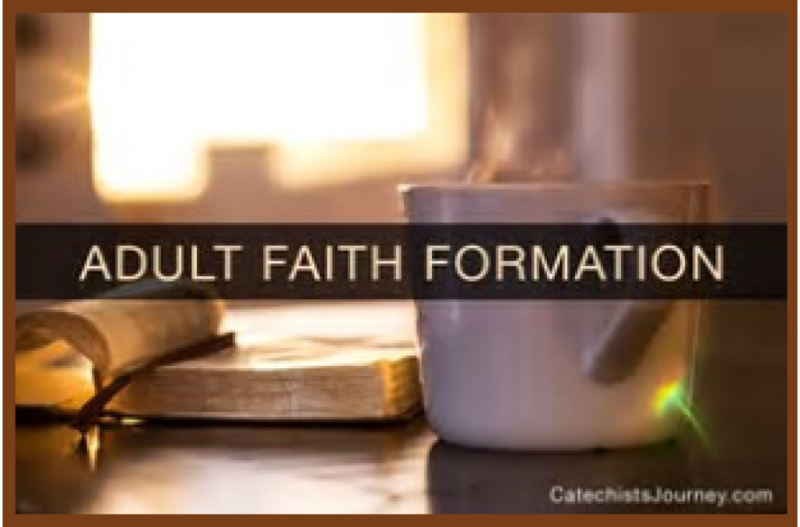 Our parish offers many opportunities for adults to grow in the ir faith. Join us at the Family Life Center at various times during the week for one of our Bible and Book Studies. Please call the Office of Faith Formation to register at 671-4434. There is a fee for study materials, but financial assistance is available upon request. Every 2nd & 4th Tuesday of month - 7:00 - 9:00 pm - Young Adult Bible Study, Room 1, begins January 22nd. Book: "Having a Mary Heart in a Martha World". We’ve got a study group for everyone - just call our Office of Faith Formation Office (671-4434) to sign up for one, and get started! For materials required for these classes, and to register, please call the Office of Faith Formation! Don't miss the opportunity to bring FORMED.org home! Get the best Catholic movies, e-books, and study programs available, all on your laptop, tablet, or phone!